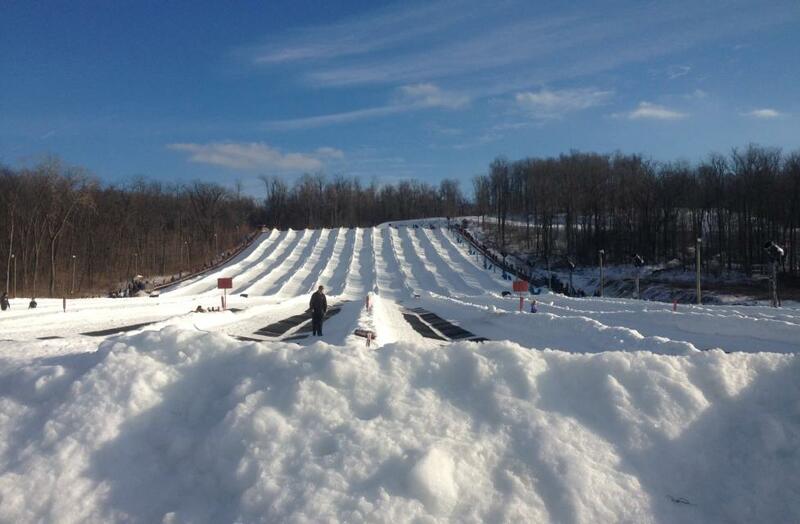 Avalanche Park: I’m no ski/snowboard expert, but Mad River’s tubing hill is great for experts and amateurs alike. Just sit down in the tube and fly on down. We took advantage of a snow day to test out the park and gave it an A+. My favorite part? Everyone in your group can link their tubes together and slide down as one giant mass. A guaranteed good time. Bud Light Concert Series: Enjoy 3 hours of live music every Saturday night in the ski resort atmosphere of The Loft. The list of entertainers is ever-expanding, so keep an eye on their website for updates. No ski experience needed. Big Air Series: Got some tricks up those puffy sleeves? Show them off at one of the Series’ events. Cash prizes are awarded to those who catch some serious air. The Airbag: Test out new tricks with a guaranteed soft landing. The giant Airbag guarantees a landing as soft as a pillow every time. (Bag hours are tentatively scheduled and weather dependent). #CollegeFridays: While not on everyone’s list of things to do, I definitely plan to take advantage of the amazing student discount while I can. It doesn’t get much better than a $20 lift ticket (additional $15 for equipment rental). 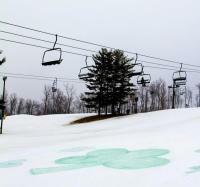 Plus, the slopes stay open until 3 am! Family Festival: Fun for the whole family – a photo booth, animals from the zoo, a stiltwalker, face painting, free s’mores, ice cream and more! 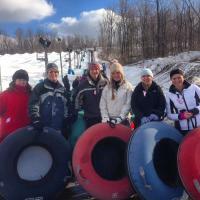 Go Pink: Hit the slopes for a cause. $1 from every lift ticket purchased on February 8th will be donated to the Stefanie Spielman Fund for Breast Cancer Research. There will also be activities, raffles and more. Don’t forget to wear pink! St. Patrick’s Day weekend: What better way to end the season the Dublin way – with Irish Attitude! Enjoy corned beef and cabbage and the Shin Bangers & Mash Mogul competition which ends with contestants chugging a beer. You can snag discounted tickets to Mad River Mountain and Avalanche Park when you create a customized getaway with our Winter Fun Package!